A single video camera will be placed inside the church on Saturday to record the service at the New Hope Baptist Church in Newark, New Jersey. Footage will be made available to media outlets via the Associated Press. Meanwhile, officials investigating Houston's death have issued subpoenas for her medical records after finding prescription drugs in her hotel room. The inquiries are routine in most death investigations, said Los Angeles assistant chief coroner Ed Winter. It is not yet known what medication has been recovered from Houston's room, or which doctors and pharmacies dispensed them. The 48-year-old was found underwater and unconscious last Saturday night, in a bath at the Beverly Hilton in Los Angeles. Houston's funeral begins at 12:00 EST (17:00 GMT) on 18 February and is expected to last 90 minutes. 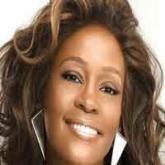 Marvin Winans, the gospel singer and pastor who married Houston and Bobby Brown in 1992, will give the eulogy. Afterwards Houston will be buried in Fair View Cemetery in Westfield, New Jersey. Her father, John Russell Houston Jr, was buried there in 2003. Sales and downloads of the singer's recordings have soared since her death last Saturday.